PHOENIX — The numbers are in, and last weekend’s Arizona Game and Fish Department Outdoor Expo had the largest turnout in the event’s 15-year history. The expo, presented by Shikar Safari Club International, drew 52,000 visitors over the March 30-31 weekend at the Ben Avery Shooting Facility in Phoenix. That broke the previous weekend record of 46,600, set in 2017. The expo featured everything from wildlife exhibits and family fishing tanks, to kayaking at the 90,000-gallon “Lake Paddlemore” and trying out firearms in a safe, controlled environment on the range. There were many opportunities for visitors to check out more than 150 exhibitors, including sportsmen’s and conservation organizations, government agencies, recreational shooting groups, and commercial vendors of outdoor products and services. Shikar Safari Club International was the presenting sponsor of the Arizona Game and Fish Department Outdoor Expo. Gold sponsors were OneAZ Credit Union and Sig Sauer. Silver sponsors were Sportsman’s Warehouse and the Mule Deer Foundation. 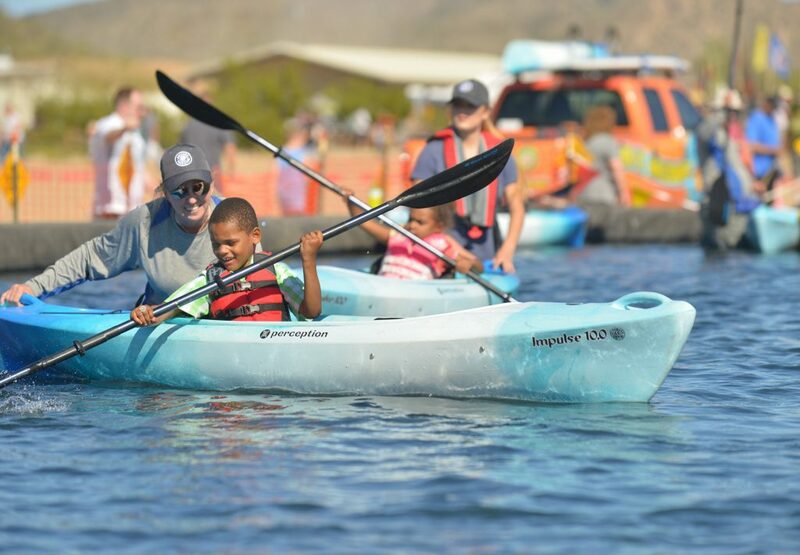 “We are grateful to our sponsors and exhibitors who support this event and provide us with an opportunity to introduce ourselves as a department and share our mission with the public at no charge,” said AZGFD Recreation Branch Chief Scott Lavin. Next year’s expo is scheduled for March 28-29, 2020, at the Ben Avery Shooting Facility. More information will be posted at www.azgfd.gov/expo as it becomes available.